Saudi Arabian billionaire Prince Alwaleed bin Talal has been released from detention, family sources told Reuters. His release on Saturday came more than two months after he was taken into custody in the kingdom’s sweeping crackdown on corruption. His release came hours after he predicted his imminent release during an interview at Riyadh’s opulent Ritz-Carlton hotel. He said he expected to be cleared of any wrongdoing and be freed within days. But the decision to free him, and the release of several other well-known tycoons on Friday, suggested the main part of the corruption probe was winding down after it sent shockwaves through Saudi Arabia’s business and political establishment. “He has arrived home,” one source in Prince Alwaleed’s family told Reuters. Prince Alwaleed had been confined at the Ritz-Carlton since early November, along with dozens of other senior officials and businessmen, part of Crown Prince Mohammed bin Salman’s plan to reform oil superpower Saudi Arabia and consolidate his power. Saudi authorities have said they expect to raise some $100 billion for the government through such settlements – a huge windfall for the state, which has seen its finances squeezed by low oil prices. 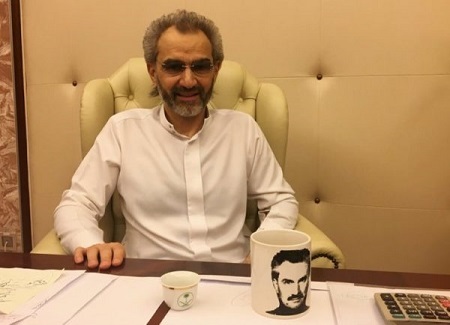 In his first interview since he was taken into custody, conducted hours before his release, Prince Alwaleed told Reuters that he has continued to maintain his innocence of any corruption in talks with authorities.